It's safe to say that there are a lot of things from our childhoods that are not only better off forgotten now, but are downright embarrassing to look back on. Sure, we all thought it was a hot look to wear five pairs of neon slouch socks in the middle of summer and spent all of our allowance on copies of Tiger Beat with Jonathan Taylor Thomas on the cover, but we all do silly things when we're young. Even some of the music was embarrassing — Aqua's "Barbie Girl" immediately comes to mind — but not all of it. In fact, there are a few albums that hold up just as well in 2015 as they did back then, believe it or not. By "hold up well", I don't mean that they're merely tolerable, but rather that they're not too "off their time" and don't seem dated. Instead, they sound totally modern and just as good as anything being released these days (which, judging by some of the crap that comes on the radio, doesn't seem difficult, to be fair). Enjoying '90s pop is a big thing to the nostalgic among us, but these albums stand out as being good on their own, not because the decade has suddenly become trendy again. Sure, modern rap doesn't necessarily sound like anything on The Chronic, but that's just because instead of copying the album outright, modern rappers are sampling and borrowing the general feel of the sound to inspire their own unique styles, and that means something. Listening to this Dre album now takes me back, for sure, but it also feels very of the moment and is damn good. Radiohead has been keeping somewhat of a low(er) profile in recent years, but thankfully their back catalog is so rich and varied, you never really have to miss them for long. OK Computer completely changed the game when it came out, and listening to it in 2015 is just as transformative of an experience as it was back then. 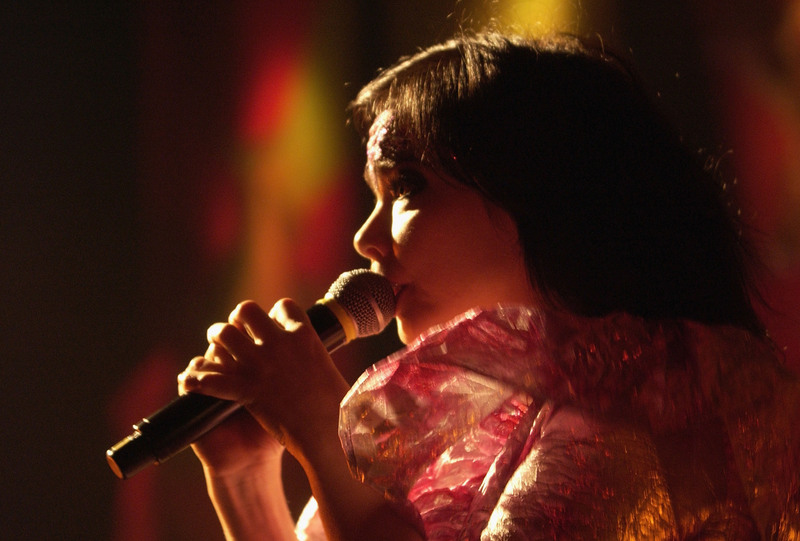 Bjork is one of those artists that has always made me feel inexplicably emotional. It's not that her lyrics are all that sappy or sentimental (though they can be), but just the instrumentation and melody she uses and the things she does with her voice that completely destroy you in the best way possible. Homogenic was genius back in '97 and it still is today. I get emotional thinking about all the brilliant things Aaliyah no doubt would have done had she not died at such a young age. Nevertheless, One In A Million is an R&B masterpiece that is still amazing today and continues to influence the singers in her genre just coming out now. Hear me out on this one. I know just thinking of Fiona Apple likely takes you back to middle school — it certainly does for me. But Tidal as an album is the album every teenage girl needs in her life even in 2015. It's dark, it's moody, and just way too good. Again, most modern rappers would cite Biggie as an influence, because what he was doing was unlike anything else going on at the time. Life After Death is a tough album to listen to, but it's a necessary one not only for hip hop fans, but for anyone who wants real, no B.S. music. I won't lie — I was obsessed with what I'll call "the Lilith Fair artists" as an adolescent, but for good reason. Sarah McLachlan, who founded the all-female music festival, released probably one of my favorite albums of all time with Fumbling Towards Ecstasy, which is stark and lonely and really, really beautiful. Yes, even in 2015 (just try to put that sad dog commercial out of your mind while you listen for maximum enjoyment).